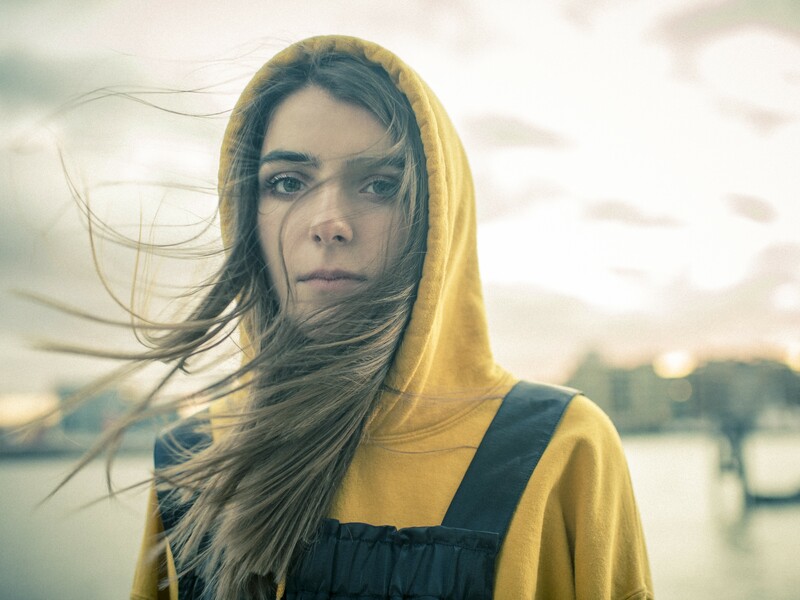 We’re heading to the Netherlands this morning as we Get To Know Bülow, a hot new Universal Music artist we think you should know. You may recall that we featured the starlet’s latest single ‘Not A Love Song’ after its music video dropped just a couple of weeks ago (HERE). But given she’s an up and comer, we couldn’t resist the temptation to get to know Bülow a little more. 02. Where are you based? The Netherlands. But soon Toronto. 03. How did you get your start in music? I’ve been doing it since I was a little kid. Always singing, always writing. Music is a part of me. 04. Give us five words to best describe you as an artist. Observant, emotional, passionate, determined, excited. 05. Tell us a little bit about your sound and how it developed. I think my music is a mixture of things that I love and listen to myself. I’m not trying to go after a particular sound, I think it’s the lyrics that end up determining what sound it should be. It has electronic and pop elements, with Rn’B and hip-hop influences. 06. What’s your earliest musical memory? I used to be in a band when I was six until about eight, we had the keyboard player which was me, a drummer and a singer. We’d rock out so hard. 07. Who have been your musical influences? Frank Ocean, The Kooks, Linkin Park, Ed Sheeran, Amy Winehouse the list goes on. But there’s also loads of new artists just surfacing now that are influencing me more than ever. 08. What are your favorite songs of all time? ‘Soundtrack 2 My Life’ – Kid Cudi, ‘Youth’ – Daughter, ‘You Need Me I Don’t Need You’ – Ed Sheeran, ‘Seaside’ – The Kooks, ‘Numb’ – Linkin Park. What all these songs have in common is how honest they are. The Kooks always gives me this very nostalgic feeling. I didn’t grow up in a very musical home, but the moments I did share with my parents with music were in long car rides, where we would blast the Kooks, or Linkin Park. I loved it. 09. Where’s your favorite place to listen to music? In bed, car rides, the kitchen, the shower, the toilet. Really anywhere. 10. Who are your go-to artists when you’re feeling : Happy? Childish Gambino. Sad? The Kooks. Introspective? Frank Ocean. Nostalgic? Lana Del Rey. 11. What was the first album you ever bought? The Kooks’ ‘Inside In / Inside Out’ album. 12. Give us a little fun fact about yourself that people might not know. As a little kid I was confident that I was going to be an inventor. I was making shoes out of beer cans, and clothes out of trash bags. I have no idea how those are inventions (as shoes and clothes already exist) but that’s what I called ’em anyway. 13. What would your chosen career be if music wasn’t an option? I have no idea. I don’t want to think about that. The world would be a dark place. 14. What’s the best advice you’ve been given in your career? Have no plan B. I’m not saying you shouldn’t have a plan B, but this message really stuck with me. It pushed me to realise things will not go my way, and when they don’t, I have to say who gives a fck!!! I can’t let bumps in the road discourage me from doing what I love. So sometimes I imagine myself as there being no other option, cause I don’t want to do anything else. 15. If you could trade places with any artist in the world right now, who would it be? I don’t know. I want to be myself right now, make music and not worry about what others think. 16. Tell us about your latest release. My EP Damaged Vol 1 was released in November. It has the songs ‘Lines’, ‘Not A Love Song’, and ‘Like This Guy’. I chose these songs because they reflect my point of view about relationships right now. ‘Lines’ takes you on a journey of a relationship, where someone constantly crossed boundaries, but finally I had enough courage to give him a piece of my mind. ‘Like This Guy” is about not expecting to fall for someone, but you do subconsciously anyway. And ‘Not A Love Song’ is really a comment on gender roles. I want people to have the freedom of feeling they can be themselves and not be restricted by gender norms. 17. What do your future plans involve? Loads more music to dance and get emotional to.